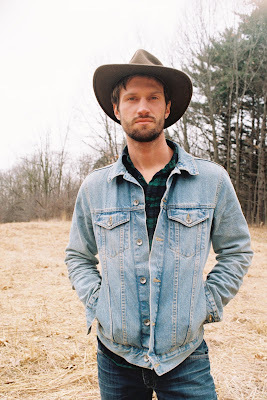 Nick is a writer of everything health and wellness, blogger, outdoorsman and devoted lover of nature. He writes to educate and inspire others toward living a life of true purpose and wellness. Nick has published multiple cookbooks and he specializes in the areas of optimal nutrition, digestive health, relationships and spiritual healing. Most of us have experienced the retributions of poor digestion; the gas, bloating, heartburn or discomfort that follows a poorly digested meal. The fact of the matter is, while a bad digestive system can ruin a good diet, a poor diet can also ruin a perfectly good digestive system. Most of us understand that some foods are “healthier” or less healthy than others, but not many realize that this has a lot to do with their digestibility. If you’re one of the 70 million people in the United States that suffer from digestive problems, whether that is Irritable Bowel Syndrome (IBS), diarrhea, constipation, acid reflux, or bloating, then one thing you’ll want to learn is what foods support healthy digestion and what do not. There are some foods that are more digestible and others that you might want to avoid all together. Artificial Sweeteners: Trying to cut sugar usually results in the supplementation of artificial sweeteners. However, most artificial sweeteners are horrible for digestion and lead to inflammation in the body. Many of them are derived of partially digested (sugar alcohols), which are known irritants to the GI tract and can lead to bloat, gas, and diarrhea. Instead, it’s best to stick to natural sweeteners, which are recognizable by the digestive and metabolic systems. The best sweeteners usually include raw honey, maple syrup least, and in some cases raw green stevia. Polyunsaturated Fats: These highly volatile fats are common features of most highly processed, packaged foods. The problem with PUFAs is their highly delicate nature. Their chemical structure makes them highly sensitive to oxidation from air. They also have a high potential to become rancid (and therefore highly inflammatory) when exposed to light or heat. In short, PUFAs are anti-metabolic, suppress thyroid function and can lead to inflammation in the intestinal tract. They need to be balanced by saturated fats like coconut oil, grass-fed butter and ghee. However, it’s probably best to avoid these altogether! Raw Cruciferous Veggies: Conventional wisdom says to eat our fruits and veggies. And while fruits and vegetables are a source of good nutrition, not all are created equally. There are many vegetables, such as cruciferous vegetables, that are not easily digested, to say the least. They contain high amounts of insoluble fiber, namely cellulose, which are not digested by our digestive enzymes but rather, gut bacteria, which can lead to endotoxin production, and digestive issues like gas and bloating. Not to mention, raw cruciferous veggies like cabbage, kale, and broccoli, contain plant toxins known as goitrogens, which in high amounts suppress metabolism. So, if you are to consume cruciferous veggies be sure to cook them, ideally steam, boil or sauté them. This removes the plant toxins, breaks down the fibers, allowing them to be digested more easily. Conventional Grains and Legumes: Corn, beans, wheat, soy, etc. are all commonly genetically modified foods, which make them highly anti-metabolic. Meaning, they are not a biocompatible match to the human digestive and metabolic systems. Not to mention, GMO grains have their own "built-in insecticides", with negative health consequences that are still being discovered. However, even organic grains and legumes have their digestive downfalls. Corn in particular has high amounts of cellulose, a fiber that the human stomach can’t break down, considering our bodies do not produce the enzyme (cellulase) necessary to digest it. Other grains and legumes of various types contain other difficult to digest "anti-nutrients" known as phytates and lectins. In nature, these chemicals help to protect the seed from insects and ensures reproduction. However, in the human body, they inhibit their digestion, rob minerals from the body and end up passing through the GI tract undigested. This can lead to gas, bloating, cramps and various other digestive issues. It's usually best to avoid these foods unless you get them organically, and properly soak, sprout, ferment and then cook them. Carrageenan: While not technically a “food”, carrageenan is a common additive used in commercial packaged foods. It, as well as other gums and stabilizers, are highly irritating to the GI tract and also happen to be powerful carcinogenic allergens. These, like PUFA should be avoided like the plague if you wish to have a healthy digestive and metabolic system! Ripe Fruits: Anytime you eat some type of carbohydrate and it’s not well digested, it will feed your gut bacteria and an insulin response. Feeding pathogens in the gut leads to an endotoxin response and a serotonin response, which cause inflammation. Ripe fruits are easily digestible carbohydrates. They are preferable because they are easily and quickly digested but also have the ketones, specifically ketoacids. Ketoacids are the refined precursors to proteins, which assimilate with minimal metabolic waste, so no ammonia! Potatoes: The liver and brain need protein to function properly, and if you don’t get it from your diet they will take it from muscle leading to catabolism or muscle wasting. Potatoes or potato juice are both rich in ketoacids. As mentioned, ketoacids are easily assimilated precursors to proteins. But also, when you ingest ketoacids they also combine with ammonia in the body, which helps to eliminate it from the body. So, ketoacids from potatoes like ripe fruit provide essential amino acids that you eat for your body to function. Ketoacids in potatoes help to make up the proteins that you need with virtually no waste products. Gelatin/Collagen: The various foods usually rich in these proteins are usually highly digestible and nutritious. These foods include bone broth, oxtail, pork rinds and lamb shanks but can also be supplemented. Gelatin and collagen are rich in glycine, which helps to optimize glycine to methionine ratios, which when offset, cause inflammation. Glycine in other words, helps to detoxify excess methionine. In additional to being anti-inflammatory to the GI tract, glycine helps to enhance gastric acid secretion (improved stomach acid levels). Bone broth in particular (very rich in gelatin and collagen) is capable of restoring the integrity of the gut lining (leaky gut), which helps with food sensitivities. Most digestive imbalances are associated with decreased serum concentrations of collagen. 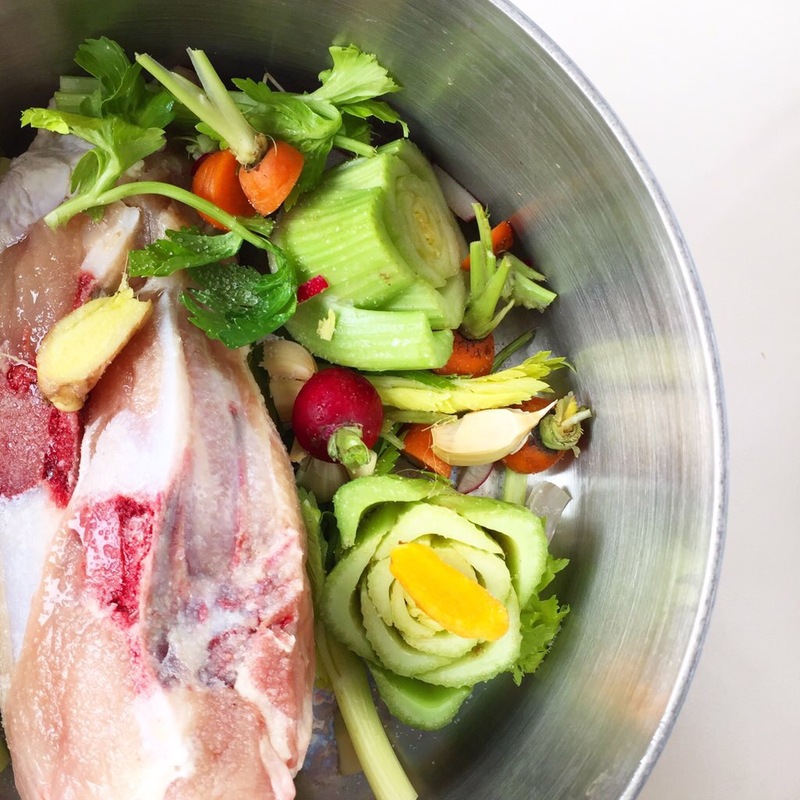 Bone broth is rich in amino acids that build up the body’s natural collagen tissue and is also rich in collagen, which helps to regenerate the tissue of entire GI tract. Water: Again, not technically a food, but keep in mind that water is essential for the secretion of stomach acid. More than that, water is essential for good health any life. Without proper hydration, many problems of the digestive system can occur. So be sure to drink 1-3L of clean spring water daily, supplemented with high quality salt to ensure proper fluid metabolism and mineral balance. Digestive function is a foundational physiological process that precedes metabolic function, immune function and detoxification. Truly, the gut is the cornerstone of our physical health, Hippocrates was correct when he said, “all disease begins in the gut.” Therefore, learning as much as we can about how the digestive system works, what wrecks it and what we can do to support it is an important part of being human! To learn much more about the digestive system, and what you can do to ensure optimal digestive function, be sure to check out my online course Perfect Digestion.